We are so grateful for the support of our community this past year, which has been instrumental in contributing to the expansion of our program. This past summer, we were able to double our intern class size, allowing BroadFutures to serve a larger and more diverse group of young people. We are thankful to everyone who helped make this happen. Thank you for your ongoing commitment to our mission, and we are so excited to continue to grow our community. Giving Tuesday is a global day of giving and marks the beginning of the charitable season. 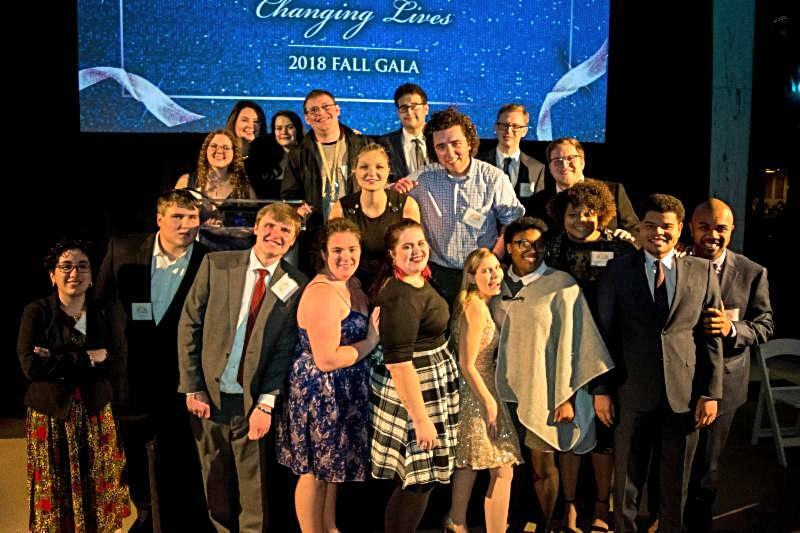 If you were unable to make our Gala or would like to make an end-of-year gift, please consider a donation to BroadFutures and start your giving here !! Thank you to our incredible community for helping to make the BroadFutures 5th Anniversary Changing Lives Fall Gala a huge success! The Gala was held on November 17th at the French Embassy, and we were thrilled that everyone had such a good time. We are grateful to our sponsors, donors, guests, and of course our amazing alumni interns, both for our successful evening and for everyone’s support to further our mission! 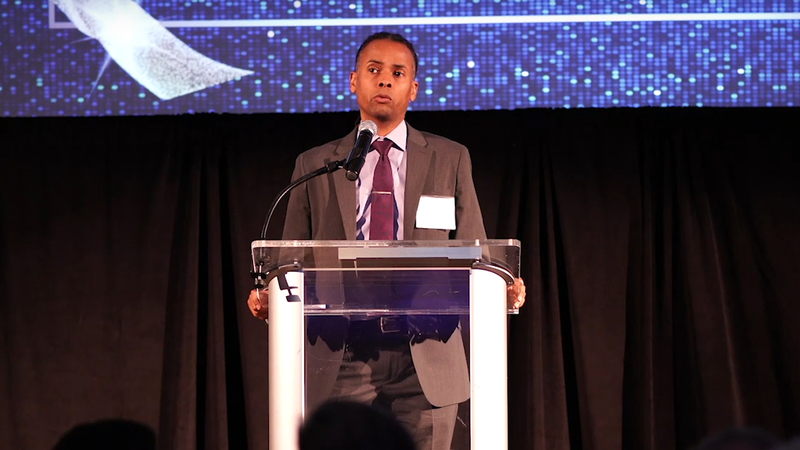 We presented our Champion Award to our two honorees: The AES Corporation, a valued employer partner, and LeDerick Horne, whose personal story of disability and spoken word poetry left us all inspired and in awe. We surpassed our fundraising goal and increased our support by 20% from 2018. We were also able to raise an additional $25,320.92 at the Gala to support scholarships for our 2019 programs to ensure that BroadFutures is able to serve a diverse group of young people and expand our programs. Thank you to everyone for making the evening an incredible success!!! This month we are shining the spotlight on our Director of Program Support, Laurie Thomas, who has been with us for 8 out of our 9 programs. Laurie’s expertise and extensive knowledge of the challenges of executive dysfunction have been instrumental to the success of our program. As an active and engaged member of the ADHD education and treatment community, Laurie has an in-depth knowledge of ADHD and the varying and accompanying challenges those with ADHD experience. Laurie provides support and guidance to both our interns and employers, ensuring mutually successful outcomes. Her support and strategies are tailored to each individual intern and employer, allowing for overall effective and positive partnerships. Thank you, Laurie, for your inspired commitment to our mission and to those we serve!!! If yo u are interested in applying for our Winter or Summer 2019 Program, please do so HERE . We have internships available with international organizations, policy positions, positions with senate and congress, hospitality positions, as well as those in general office administration. WASHINGTON, October 30, 2014 – According to a report by the National Institutes of Health (NIH), one in seven Americans, or 15 percent of the U.S. population, has a learning disability. A 2012 report from the U.S. Census Bureau revealed that 41 percent of individuals ages 21 to 64 with a disability were employed in 2010, down from nearly 46 percent in 2005. Furthermore, while 69 percent of high school graduates with learning disabilities have goals of competitive employment, only 46 percent are able to obtain regular paid employment within two years of graduating, according to the National Center for Learning Disabilities (NCLD). BroadFutures, an emerging Washington, D.C.-based non-profit organization, is committed to serving this growing, underrepresented group of young adults with learning disabilities by using an innovative program designed to help combat these pressing issues. BroadFutures’ program employs a unique combination of holistic, individualized training and mentorship, coupled with paid internship opportunities. Pilot program interns meet with employer partners for evaluation. Founded in August 2013 by Carolyn Jeppsen, Diana Eisenstat and Bradley Holmes, BroadFutures successfully completed its first of three pilot programs in August 2014. To promote openness and establish a strong presence, the pilot stage consists of three phases – the second phase occurring in January 2015, and the third in summer 2015. ￼Diana Eisenstat, co-founder, program director, presents pilot program interns with certificates of achievement. BroadFutures secures internship positions for a period of eight to 14 weeks, and focuses on social emotional skills and workplace preparedness. 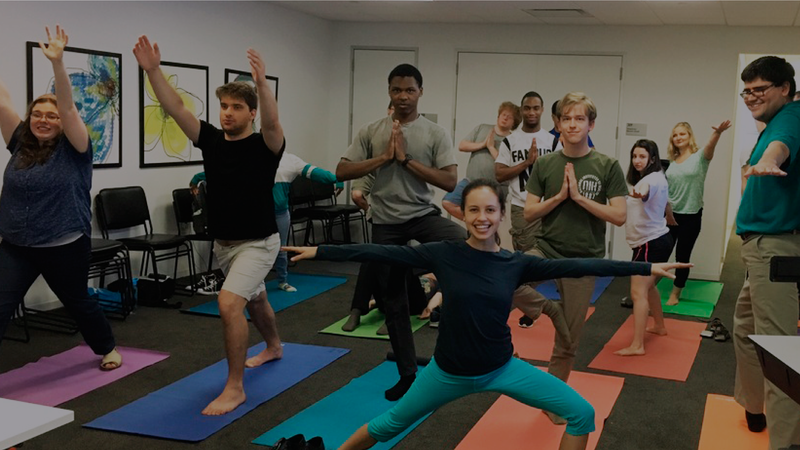 As a part of the program, BroadFutures also regularly incorporates stress reduction techniques such as yoga, meditation and cognitive exercise, in addition to implementing group sessions and drama as a medium for delivering workforce curriculum. The creative blend of influences fosters independence, self-advocacy and successful future employment for young adults. Five interns participated in BroadFutures’ inaugural pilot program, with three employer partners – AES Corporation, Arlington, Virginia, a global power company that owns and operates a diverse portfolio of electricity generation and distribution businesses, Griffin & Company, Inc., Washington, D.C., a public relations and marketing communications agency, and Inergix, McLean, Virginia, a diversified energy development and integration company. At the conclusion of the summer pilot program, all participants, including interns, parents, employers, service providers and mentors, stated they would recommend the BroadFutures program. Employer partners felt interns were well-prepared and all interns successfully completed their internships and were given letters of recommendation. 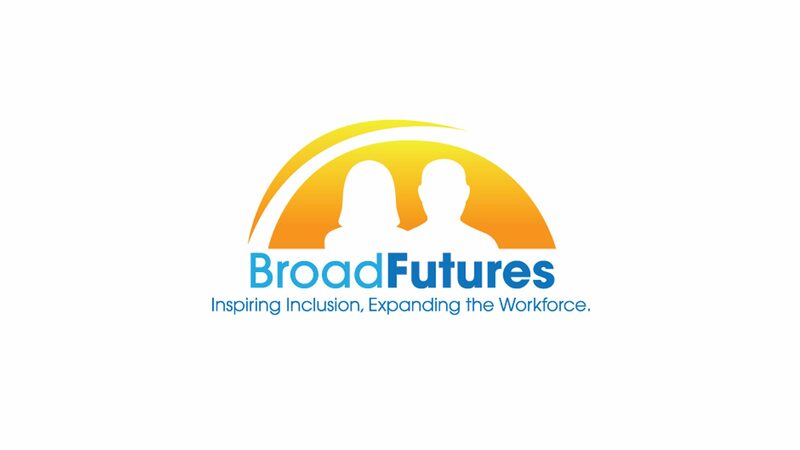 For more information on how BroadFutures is creating an inclusive workforce for all individuals to have an equal opportunity to succeed, visit www.broadfutures.org.